For more information regarding our National Stock Number products, please contact the OEM Division at: (805) 384-4186. HVC1/GNX4 calipers are the product of Wilwood's in-house FEA design and 3-D modeling technology. This is the current caliper for AM General Military REV HUMVEE vehicles. The HVC1/GNX4 caliper, with its unyielding strength and superior piston design, generates positive pedal response and high clamping efficiency with a substantial weight savings over original calipers. The caliper feature a natural aluminum finish protected by a durable clear coat anodizing. Forged billet aluminum bodies, stainless steel pistons, and high-temperature seals put an end to the rust, bore pitting, and seal failures that plague many OE caliper design. 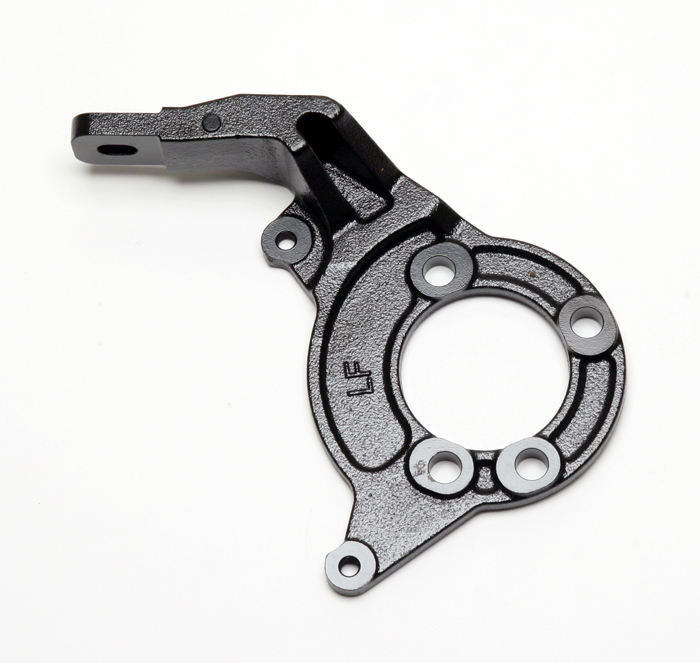 Stainless steel pistons delay the heat transfer from the pads while the aluminum calipers dissipate the heat quicker than the OE cast iron calipers. Cooler operating temperatures translate into longer service life, regardless of the driving environment. The National Stock Number (NSN) for this brake caliper is 2530-01-565-9660. For more information please call Wilwood's OEM Division: (805) 384-4186. 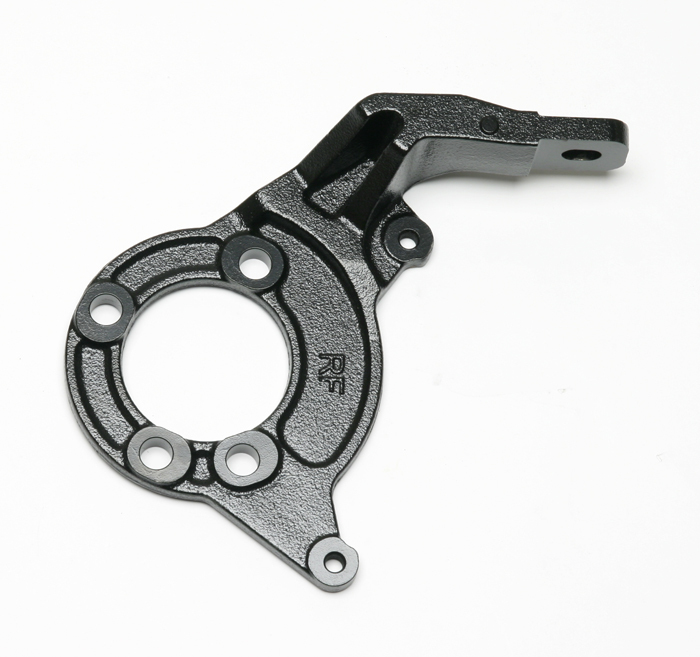 This adapter bracket is used with HVC1 caliper Z-120-10643-PS/GNX4 caliper 120-10754. This iron bracket has a 7.00” mount center and is finished with black corrosion resistant epoxy. It fits the AM General HUMVEE rear axle center section. 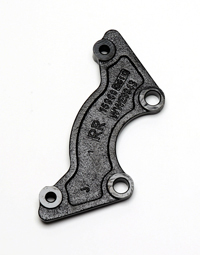 The National Stock Number (NSN) for this rear caliper bracket is 2530-01-567-0232. 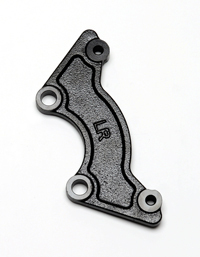 The National Stock Number (NSN) for this rear caliper bracket is 2530-01-567-0400. This adapter bracket is used with HVC1 caliper Z-120-10643-PS/GNX4 caliper 120-10754 and doubles as a right-hand support bracket for the AM General HUMVEE front axle center section. This iron bracket has a 7.00” mount center and is finished with black corrosion resistant epoxy. The National Stock Number (NSN) for this front caliper bracket is 2530-01-567-0587. This adapter bracket is used with HVC1 caliper Z-120-10643-PS/GNX4 caliper 120-10754 and doubles as a left-hand support bracket for the AM General HUMVEE front axle center section. This iron bracket has a 7.00” mount center and is finished with black corrosion resistant epoxy. 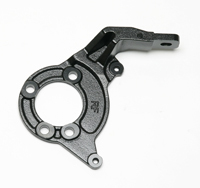 The National Stock Number (NSN) for this front caliper bracket is 2530-01-567-0607. The Ultralite HP 53 Vane Rotors with a built-in Hat are close tolerance machined with smooth turned pad faces. 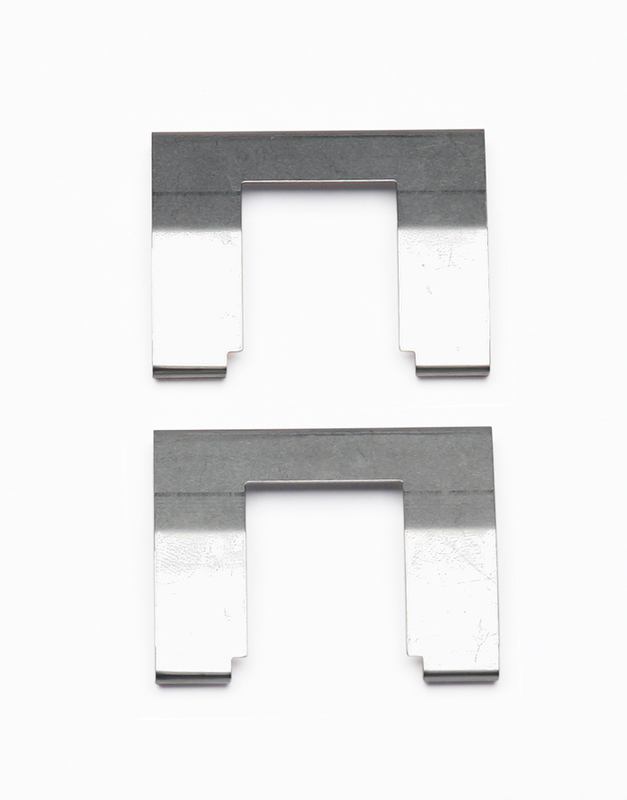 The additional mass of the HP series extends service life on heavier competition vehicles and other severe duty industrial and military applications. The HP rotors offer a durable, high torque braking solution. This is the current rotor for AM General Military REV HUMVEE vehicles The rotor diameter is 12.00 inches and a width of .95 inches. 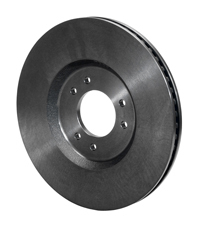 The National Stock Number (NSN) for this brake rotor is 2530-01-567-0893. Wilwood’s Z-150-10479-PS Brake Pads Kit fits the HVC1/GNX4 Calipers which are the current caliper upgrade for AM General Military REV HUMVEE vehicles. 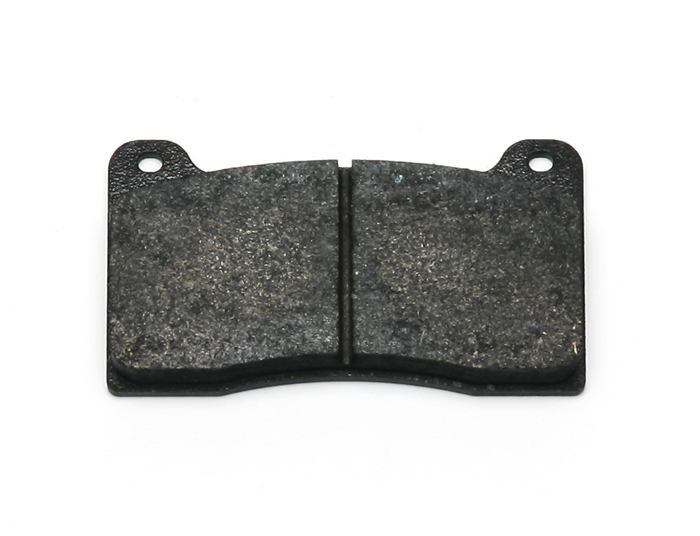 The Brake Pad Type is 9115, total area is 4.07 square-inches and brake pad compound is Sintered Metallic which is specially formulated for Military and Industrial applications. This pad’s characteristics are high friction, excellent cold torque response and medium temperature range. Service part number is: #5717285-SP. The National Stock Number (NSN) for this brake pad kit is 2530-01-568-4462. The Kit Wear Plate fits the HVC1/GNX4 Calipers which are the current caliper upgrade for AM General Military REV HUMVEE vehicles. Service part number is: #5717286-SP. The National Stock Number (NSN) for this kit wear plate is 2530-01-570-0763. 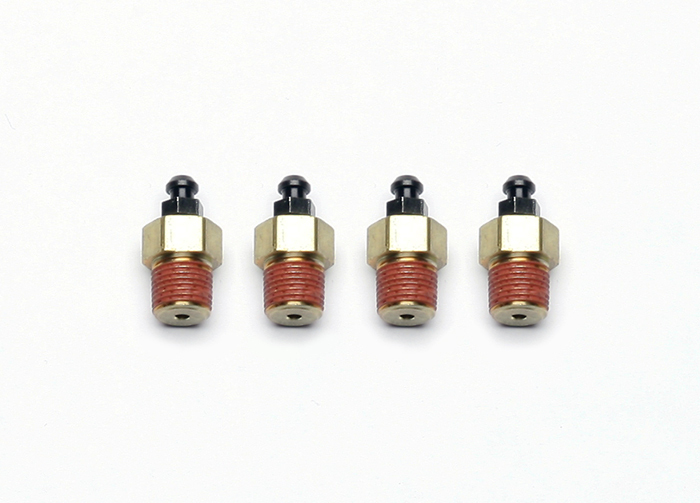 Wilwood’s Bleed Screw Kit for the GNX4 Caliper is manufactured to high quality standards.. These premium grade fittings have been designed for use in repair and maintenance of the GNX4 calipers which are the current caliper upgrade for AM General Military REV HUMVEE vehicles. Service part number is: #5717287-SP. The National Stock Number (NSN) for this bleed screw kit is 2530-01-579-2315. 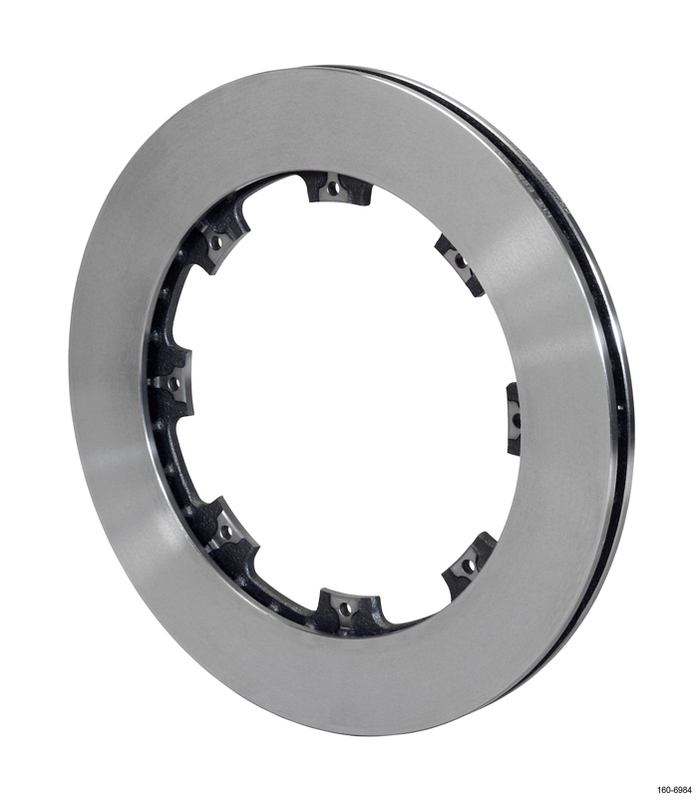 Ultralite HP 32 Straight Vane Rotors provide an excellent balance of efficient cooling and lower rotating mass on hard braking dirt tracks or rear axle service on pavement and are the current caliper used on the General Dynamics EFSS Prime Mover Vehicle and the Light Strike Vehicle (LSV). UL rotors are cast from premium grade, long grain carbon iron for long wear, high thermal stability, and resistance to distortion. ULHP-32 rotors offered the added performance and smoother operation of precision turned faces with less than .001" variation in flatness, parallelism, or run-out. The National Stock Number (NSN) for this Ultralite HP 32 Rotor is 2530-01-600-2537. Details Click here to view this product: ROTOR on the Wilwood website. 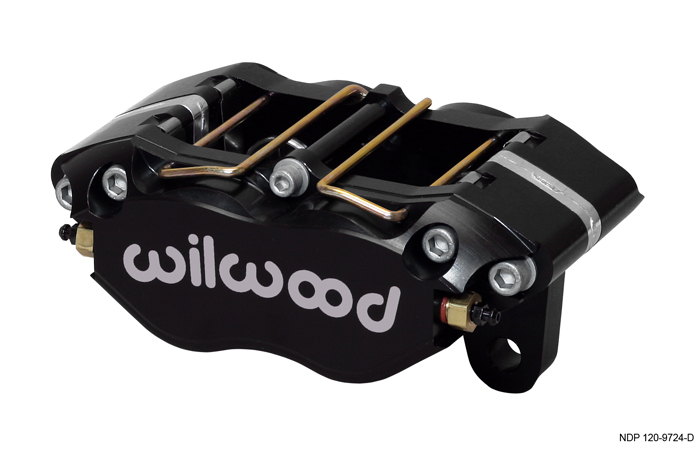 Wilwood’s 150-8926 Brake Pads fits the Narrow Mount DynaPro (NDP) forged billet calipers which are the current caliper used on the General Dynamics EFSS Prime Mover Vehicle and the Light Strike Vehicle (LSV). The Brake Pad Type is 7816, total area is 6.36 square-inches and brake pad compound is Smartpad BP-10..This pad’s characteristics are a medium friction compound with the low noise and low dust of a street performance compound and the increased friction characteristics of a semi-metallic race compound, smooth engagement with consistent response from a flat torque curve throughout its entire effective temperature range, good low to middle temperature wear rates, beds quickly and provides fast response without excessive abrasion on vented iron rotors. The National Stock Number (NSN) for this brake pad is 2530-01-600-2639. Details Click here to view this product: BRAKE PAD on the Wilwood website. Narrow Mount DynaPro (NDP) forged billet calipers represent the next generation of calipers available as an upgrade or direct replacement and are the current caliper used on the General Dynamics EFSS Prime Mover Vehicle and the Light Strike Vehicle (LSV). The strength of the DynaPro Caliper is a combination of process and design. NDP calipers are stress-flow forged from premium grade billet. Stress-flow forging realigns the grain structure of the metal within the contour of the body design. This process produces a part with superior strength over parts simply machined from straight grained blocks of billet. The FEA generated body design incorporates a highly fortified radial transition that eliminates steps and shoulders between the piston housings and the bridges. Incorporating a radius in this critical area substantially increases resistance to deflection and caliper body separation under load. For additional strength, all NDP calipers are fitted with center bridge bolts to provide additional resistance against separation over the center of the pads. Structural deflection and volume displacement testing have proven the efficiency of this innovative design. Reductions in overall deflection, and the subsequent decreases in fluid volume displacement, translate to increased clamping efficiency with less pedal travel. The bottom line is a firm, responsive pedal with outstanding stopping power. The National Stock Number (NSN) for this Narrow DynaPro Caliper is 2530-01-600-2691. 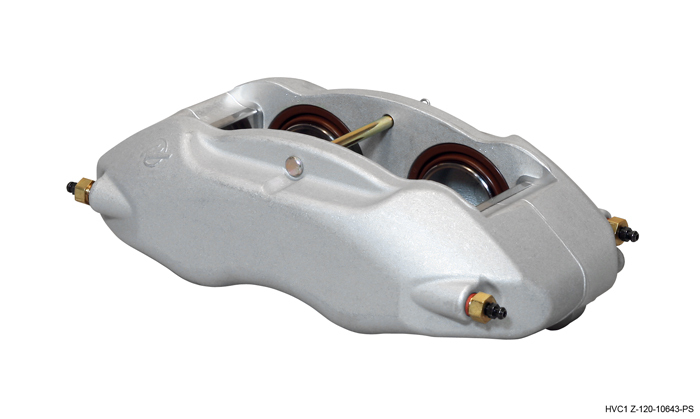 Details Click here to view this product: CALIPER,NDP,1.12,.81 RTR on the Wilwood website. Wilwood’s 15E-7266 Brake Pads fits the Narrow Mount DynaPro (NDP) forged billet calipers which are the current caliper used on the General Dynamics EFSS Prime MoverVehicle and the Light Strike Vehicle (LSV). 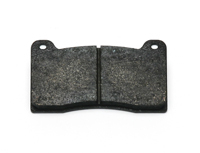 The Brake Pad Type is 7816, total area is 6.36 square-inches and the brake pad compound is the PolyMatrix “E”. This pad’s characteristics are a medium friction compound with the highest effective range in the medium temperature pad group. Smooth engagement with consistent response from a flat torque curve throughout its entire effective range. Best overall wear properties in the medium temperature pad group. Beds quickly and provides fast response without excessive abrasion on iron or steel rotors. 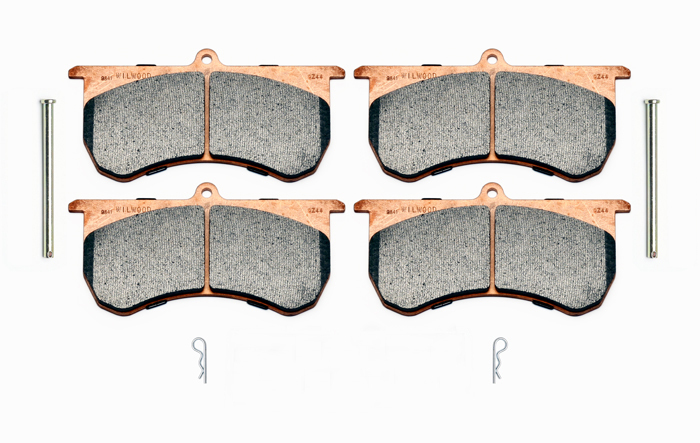 The National Stock Number (NSN) for this brake pad set is 2530-01-610-9695. The National Stock Number (NSN) for this Narrow DynaPro Caliper is 2530-01-611-1003. Details Click here to view this product: CALIPER,NDP,1.00,.81 RTR on the Wilwood website. The National Stock Number (NSN) for this Narrow DynaPro Caliper is 2530-01-615-5793. 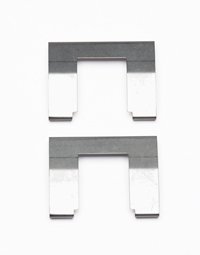 This zinc plated steel clip is used in brake pad kit part number Z-150-10479-PS for the HVC1/GNX4 caliper. 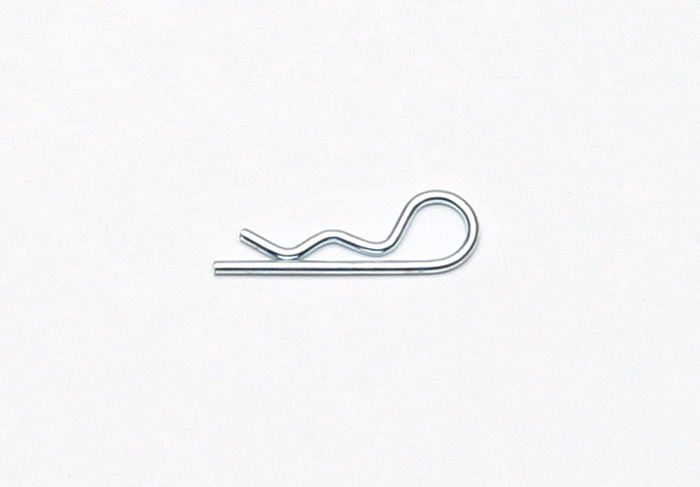 The National Stock Number (NSN) for this clip is 5315-01-208-6886.